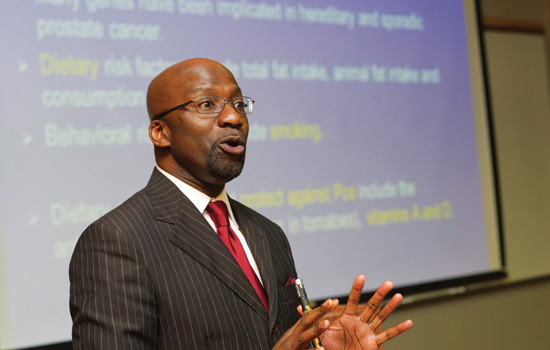 Rick Kittles ’89 (biology) helped establish a national cooperative network to study the genetics of hereditary prostate cancer in the African-American community. This project serves as a model for recruitment of African Americans in genetic studies of complex diseases. A little bit of RIT lives inside the Oscar-winning movie Frozen, the highest grossing animated film of all time. Along with Frozen, graduates worked on two other movies that won Academy Awards—Life of Pi, which won for best visual effects in 2013, and Disney’s Paperman, which won best animated short film in 2013. The lenses of their cameras have documented iconic moments in history. 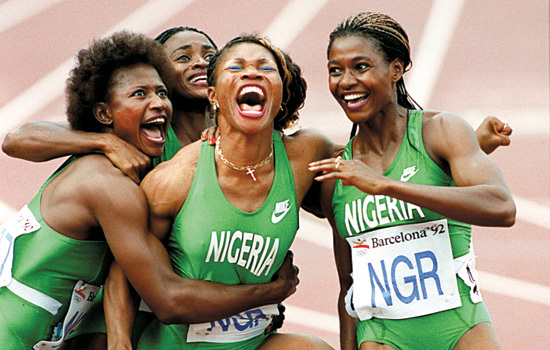 Their photos—whether of war-torn countries and their people, U.S. presidents or the Olympic Games—have captivated readers on a global scale. Seven Pulitzer Prize-winning photojournalists are graduates of RIT. They are: Paul Benoit ’76, Robert Bukaty ’82, Ken Geiger ’11, Stan Grossfeld ’73, Dan Loh ’95, William Snyder ’81 and Anthony Suau ’78. Among the seven alumni, they’ve won a combined 11 Pulitzer Prizes. Clayton Turner’s 24-year career with NASA’s Langley Research Center in Hampton, Va., has soared nearly as high as NASA’s space flights. Turner ’90 (electrical engineering) led the center’s Engineering Directorate and was responsible for the conceptualization, design, development and delivery of ground and flight systems in all NASA mission areas. In January, he was appointed associate director at the Research Center, now serving as its chief operating officer managing day-to-day operations to meet current and future NASA mission needs. He is one of numerous alumni who work at NASA facilities across the country. Another dozen work at SpaceX, a company that designs, manufactures and launches advanced rockets and spacecraft. At least two graduates have Emmy Awards on their résumés. Michael Slovis ’76 (professional photographic illustration) is an Emmy Award- winning cinematographer and director of photography recognized for his genius and groundbreaking visual direction in the AMC hit series Breaking Bad. Katie Linendoll ’05 (information technology) won an Emmy Award as associate producer for SportsCenter. Linendoll frequently shares her tech expertise on CNN and the Today show. In print, Tom Curley ’77 (MBA) is the former president and CEO of The Associated Press. Thomas Keene ’75 (biology) is an editor-at-large at Bloomberg News. On the music scene, deaf American hip-hop artist Sean Forbes ’08 (multidisciplinary studies) launched D-PAN, the Deaf Professional Arts Network. He writes, performs and records his own music. Next time you are in New York City and you look at the skyline, think of RIT. The beacon on top of One World Trade Center was designed by Thomas Trytek ’91 (civil engineering technology) and his Syracuse company TDK Engineering Associates. Corey Mack ’11 (mechanical engineering technology), founder and CEO of Laforge Optical, is behind Icis, prescription eyewear that displays users’ smartphone notifications in their field of vision. Austin McChord ’09 (bioinformatics) was named a 2015 Forbes 30 under 30 in enterprise technology. McChord started a company called Datto Inc. in 2007. The company provides hybrid cloud-based on-site and off-site backup disaster recovery and business continuity services. Tristan E. O’Tierney ’08 (computer science) co-founded the popular mobile payment company Square in 2009. Working with Twitter cofounder Jack Dorsey, O’Tierney developed Square’s original iPhone application and contributed to the development of Square’s iPad application and Square Wallet. Have you ever heard of the LunaTik Touch Pen, a combination roller ball pen and digital stylus, or the TikTok band that turns Apple Inc.’s iPod Nanos into wristwatches? Both products are the brainchild of Scott Wilson ’91 (industrial design), founder of Chicago-based Minimal Inc. and former global director at Nike. Speaking of Nike, Eric Avar ’90 (industrial design) is vice president of design innovation at the company. Avar joined Nike in 1991 and has helped create some of Nike’s most innovative and award-winning designs, including products with the Nike Basketball, Nike Free, Lunar and Kobe Bryant series of footwear. What do the executive vice president of sales and marketing for ESPN, the group vice president, customer service, for Toyota Motor Sales and the president and CEO of True Value have in common? They are all RIT graduates. Sean R.H. Bratches ’83, ’91 (business administration), executive vice president of sales and marketing for ESPN, was inducted into the 24th Annual Broadcasting & Cable Hall of Fame in October. Nancy Fein ’76 (mathematics) joined Toyota in 1982. John Hartmann ’85 (criminal justice) has been with True Value since 2013. The Microsoft engineer who was the National Inventor of the Year in 2012 for his work on Kinect for the Xbox 360 video game system and Windows PCs graduated from RIT. Alex Kipman ’01 (software engineering) is also an inventor of Microsoft’s HoloLens, a wearable computer. Kevin Surace ’85 (electrical engineering technology) was named Inc. magazine’s 2009 Entrepreneur of the Year. At the time, he was CEO and president of Serious Materials, which retrofitted the 6,514 windows in the Empire State Building to make the iconic landmark more sustainable and energy efficient. 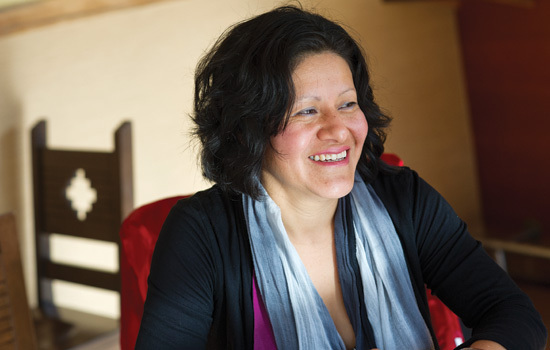 A graduate and leader in New York’s farmworker human rights movement received the 2012 Robert F. Kennedy Human Rights Award. Librada Paz ’03 (mechanical engineering technology) worked with Rural and Migrant Ministry to make conditions better for migrant laborers. She is a former farmworker herself. Patricia Moore ’74 (industrial design), president of Moore Associates, was named by ID magazine as one of the 40 Most Socially Conscious Designers in the world. Moore traveled throughout North America from 1979 to 1982 disguised as a woman in her 80s. She wrote about her experiences in her books Disguised: A True Story and The Business of Aging. Write to umag@rit.edu with suggestions of other graduates already making a difference. We will profile them in future publications. 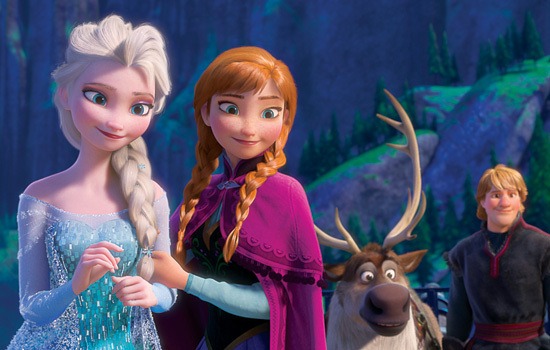 A little bit of RIT lives inside the Oscar-winning movie Frozen, the highest grossing animated film of all time.